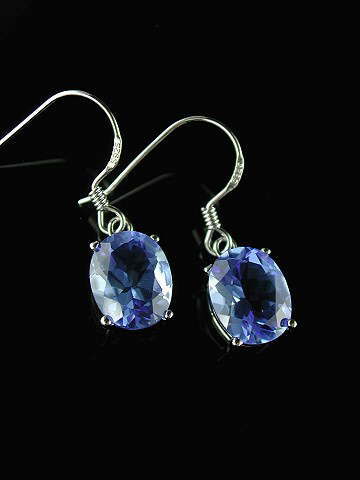 The purity of colour is second to none in these gorgeous brilliant-cut oval Siberian Blue Quartz drop earrings. They're exquisite and sparkle beautifully in the light. Set in rhodium plated 925 sterling silver.